No matter how much space you have, there never seems to be bought storage. 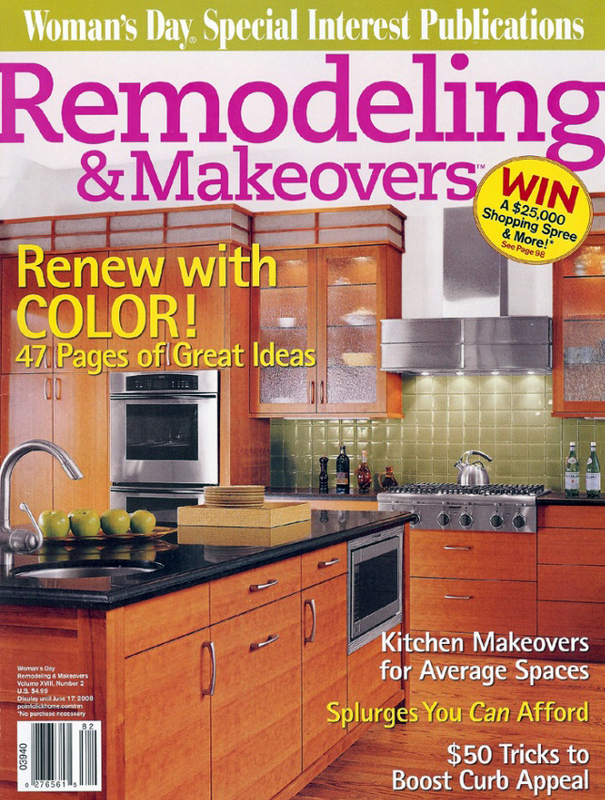 Finding clever ways to keep your home organized is always a challenge. Whether you have 9,000 square feet or 900, these tips will help keep your stuff where it belongs and your home looking great. Go Vertical. Take advantage of the full height of a room by building shelves all the way up the wall. “For access, you can decorate a step ladder with paint and give the room a posh library look, “says designer Lori Dennis, principal at Lori Dennis, Inc. Turn Wall Into Storage. Why hide away designer purses and belt when you can show them off and store them at the same time. Dennis suggests installing hooks on a bedroom wall. Use them to hang your favorite bags and accessories in an eclectic, colorful display. Multitask. If you’re short on space, make sure your end and coffee tables have shelves and drawers to stash remotes, CDs. And DVDS. Ottomans that open up are perfect for holding extra pillows and blankets or games. 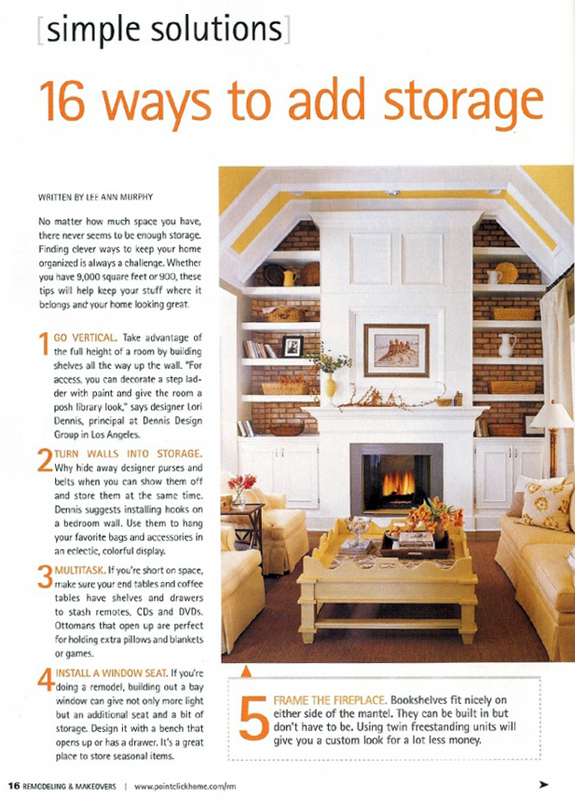 We contributed to this article on 16 ways to add storage. SoCal Contractor and the Lori Dennis interior design team routinely discover new ways to maximize and best use space in your home.